The attorney for a 50-year-old woman accused of placing rubbing alcohol in two bottles of orange juice at a Starbucks in San Jose last month said today she is "delighted" that she will not face criminal charges. San Jose criminal lawyer Dennis Lempert said Ramineh "Romi" Behbehanian, who was suspended by her employer due to the case, "expressed her appreciation" to him. "We are gratified that my client's position has been vindicated and it is unfortunate that people hysterically respond to a situation and caused damage to a highly qualified, innocent scientist who has done nothing wrong," Lempert said. "She said she is delighted about the results" of tests showing nothing harmful was found in the juice bottles, Lempert said. In a case that made news nationwide, Behbehanian was arrested on suspicion of attempted murder and felony poisoning following the incident at a Starbucks at 6009 Snell Ave. on April 29. A customer said Behbehanian switched two bottles of orange juice in the cafi's refrigerator with her own tainted bottles that she brought to the store in a Starbucks bag, according to police. The San Jose Fire Department tested the liquid in the bottles and said that they contained a lethal dose of rubbing alcohol, which led to Behbehanian's arrest by San Jose police. But the Santa Clara County District Attorney's Office said today it has decided not to file charges against Behbehanian. Lab tests ordered by the district attorney's office found that the orange juice allegedly dropped off at the cafi by Behbehanian contained vinegar, which is not considered a harmful substance, Supervising Deputy District Attorney Luis Ramos said. "There appears to be insufficient evidence" that a crime was committed, Ramos said. Tests that compared the juice from Behbehanian's bottles with a separate control amount of juice indicated that the vinegar was "the kind that people would put on a salad," Ramos said. If "anyone would consume it, they would spit it out," he said. Ramos said that based on the tests, prosecutors could not rule out that the vinegar might have been "a naturally occurring product in the juice." The district attorney's office also cannot prove that someone put vinegar in the juice, Ramos said. Ramos said the fire department never forwarded the results of its tests to his office. "I have to rule it out as some kind of anomaly," Ramos said of the fire department's conclusion about the liquid. Since ethanol alcohol can be a byproduct of fermented orange juice, that may have been what the fire department detected in its analysis, Ramos said. Lempert said that a female barista at the Starbucks had said that the juice bottles had smelled of alcohol and the flammable liquid acetone. That set off the whole situation, including her employer suspending her from her job at a drug company owned by Johnson & Johnson, he said. "Her home was torn apart by police," Lempert said. "It was a horrible, horrible consequence for nothing." "What distressed me is that everyone jumps on the bandwagon and there was nothing there," he said. Lempert praised the district attorney's office for "its professionalism" and for acting "with restraint" in the case. 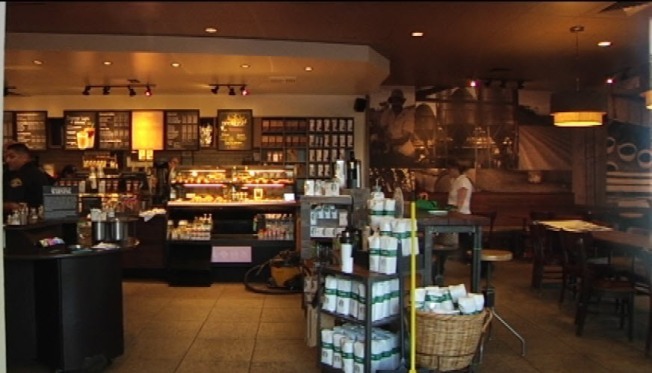 He said he and his client were not alleging that Starbucks was to blame in the controversy. The juice in the bottles in question could have fermented naturally and turned into alcohol, or what is called "pruno" in prisons, Lempert said. Behbehanian was booked and released several days later on May 2 from the Elmwood Correction Facility, Santa Clara County's jail for women in Milpitas, although she was never charged. She lives in South San Jose and has undergraduate and graduate degrees in chemistry, according to her profile on LinkedIn.